Music is perhaps one of the best ways of recalling the most memorable times throughout your life. That’s why choosing your wedding song is perhaps one of the big decisions for your wedding day. It needs to sum up your love as a couple. It needs to encapsulate the emotions those magical, memorable lyrics that capture how you feel about each other. It needs to create a wonderful mood for your big day, that you will remember forever. For some couple it’s easy. They have ‘their song’, so it’s an easy decision. But for many they don’t actually have ‘their song’ so they go looking for something that they feel is a good reflection of their relationship and how they feel about each other. The challenge then is finding a song that hasn’t been used by lots of other couples. Like ‘All of me’ by John Legend, or ‘Marry You’ by Bruno Mars or Ed Sheeran’s ‘Thinking out Loud’. These songs are played at weddings all over Australia every week. Chances are you’ve been to many friends’ weddings who’ve chosen popular songs like these. There’s nothing wrong with these songs. They’re romantic, memorable and have gorgeous lyrics and melodies. But if you’re like most couples who want their day customised so that they’re wedding is unique to them then these popular songs may not be the best choice. 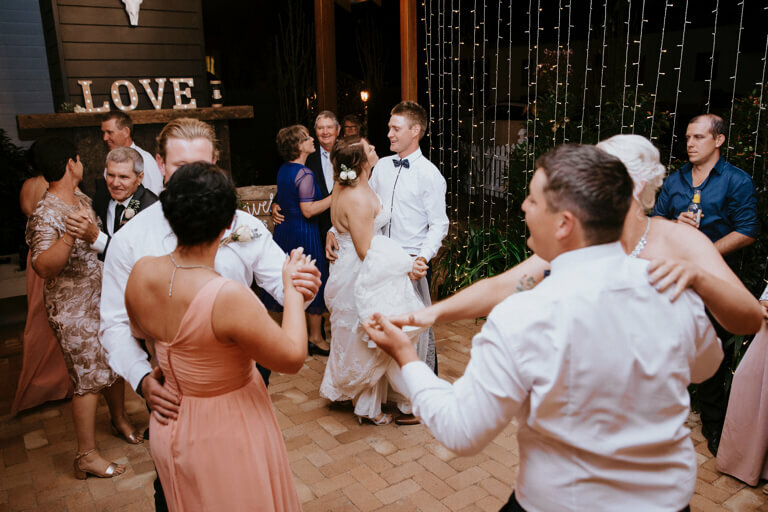 At White Chapel Kalbar we’re all about creating stand-out customised weddings, so we’ve put together a list of wedding songs that you’ve probably never heard of. They might be just the inspiration you need. Van Morrison is a bit old school but he wrote this gorgeous song back in 1987 and it’s still a wonderful expression of searching for and finding the perfect partner. Perfect for a wedding day. U2 might seem a strange choice for a wedding song but this haunting ballad talks of all the things in life and how they become insignificant when ‘All I want is You’. A very memorable wedding song indeed. Again this is old school but it doesn’t get much better than Tom Waits. Whilst this song was recorded back in 1973 it is still as powerful today as it back then. Taking a little trip to heaven on the wings of your love is such a romantic thought. Even if you’re not a country music fan Willie Nelson’s version of this song is heart-wrenchingly beautiful. Have a listen, it might surprise you. This is a song about being the luckiest people on earth to have found each other. Its acoustic treatment creates a wonderful emotional that with the lyrics could be a very special wedding song. If you’ve never heard of them, don’t be disappointed. Instead be excited, as none of your friends may have heard of them and it’s even exciting that you could make one of these could be your very own song. Jump onto Spotify and have little listen to each and every one and see if you can find that musical gem. Who knows, you might find that one that might be a little unexpected, but sparkles every time you hear it.